The total system of dams supplying Sydney, Blue Mountains and the Illawarra, is currently at 85.8 percent of capacity, with Warragamba Dam at 88.1 percent of capacity. 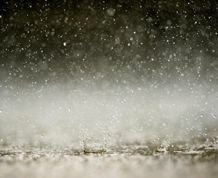 The Bureau of Meteorology has advised a weak low pressure system is expected to form off central parts of the New South Wales coast later today which is predicted to result in rainfall over the catchments. Warragamba Dam is not expected to spill. Woronora dam, Cataract Dam, Avon Dam, Cordeaux Dam and Nepean Dam may experience minor spills if the higher end of the forecast is received. Tallowa Dam in the Kangaroo Valley is likely to spill. WaterNSW is continuing to work closely with the Bureau of Meteorology to monitor the situation.